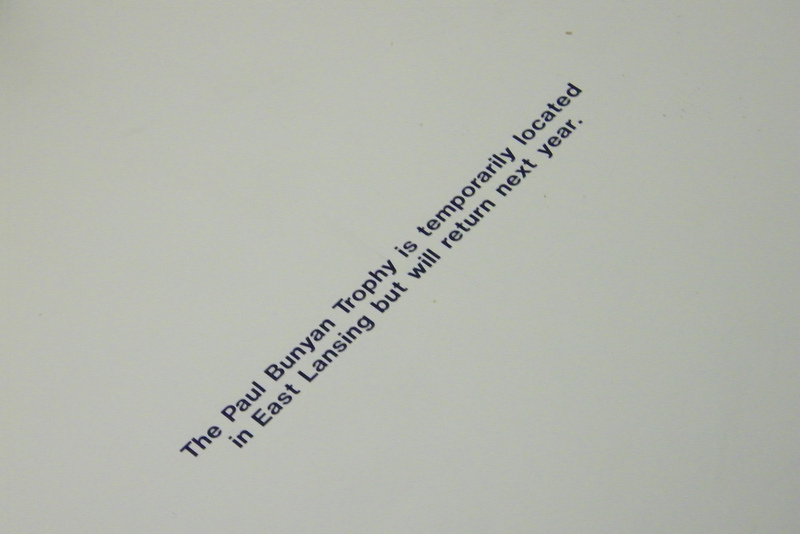 The space inside Schembechler Hall reserved for the Paul Bunyan Trophy. Here's the breakdown of this blog's week 8 content. This should get you ready to go for Michigan against Michigan State coming up shortly at 3:30PM on the Big Ten Network. I'll be tweeting and posting live from the pressbox for this afternoon's game. Follow MaizeBlueNation on Twitter.